Michigan may be the Great Lakes State, but its 36,000 miles of rivers are becoming popular commodities for cities looking to revitalize downtowns, attract visitors and lure new businesses. A growing number of communities across the state — large and small, urban and rural — are removing obsolete dams, restoring fisheries and developing riverside parks and trails. 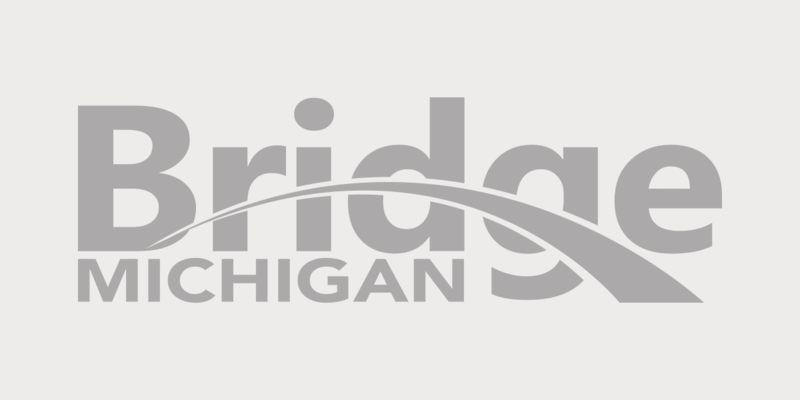 The city of Big Rapids built its 2.6-mile-long Riverwalk trail along the Muskegon River after remnants of the Big Rapids Dam were removed in 2001. The dam disrupted the river and was a safety hazard: Several people drowned while trying to canoe through unnatural rapids the dam created. Other cities, such as Detroit and Lansing, have capitalized on water quality improvements in long-abused rivers by developing riverfront parks and trails. But in a growing number of communities — including Mt. Pleasant, Watervliet, Nashville and Dimondale — the removal of obsolete dams spurred projects that restored fisheries, increased public access to waterways and created new recreational opportunities in and along rivers, such as kayaking and biking. Experts say Michigan could be on the cusp of an unprecedented era of dam removals and river restoration projects. “There has been more interest in river restoration and dam removals in the past five years than there was in the previous 10 to 15 years,” said Jim Hegarty, a civil engineer and dam removal expert for the Grand Rapids-based engineering firm Prein & Newhof. Federal agencies and private foundations also have provided more money for dam removals in recent years. Michigan’s Great Lakes Fishery Trust and the federal Great Lakes Restoration Initiative funded several dam removal projects in recent years. But there isn’t anywhere near enough public or private money to address what one study called Michigan’s looming dam crisis. Michigan has 2,552 dams and many will need to be removed or undergo major repairs in the near future, according to a 2007 study by Prein & Newhof and Public Sector Consultants in Lansing. The average lifespan of a dam is 50 years, and 36 percent of Michigan’s dams are at least 50 years old, according to the study. Most dams in the state are small structures that were built to power sawmills and grain mills, and to elevate water levels in lakes and waterfowl hunting areas; just 4 percent generate electricity, according to state data. In most cases, removing an obsolete dam costs far less than repairing it, according to the Prein & Newhof study. It concluded that the number of Michigan dams that should be removed would increase steadily and dramatically over the next two decades. One of Michigan’s most ambitious and closely watched river restoration projects is unfolding in Grand Rapids. A proposal to remove all or part of the Sixth Street Dam in downtown Grand Rapids and restore naturally occurring rapids has morphed into a $27.5 million whitewater and river restoration project. Supporters say the project, which won’t use city funds, would attract more visitors to Grand Rapids and pump more revenue into the city’s resurgent downtown. “A natural asset like our river can be an economic tool for the recreation economy as well as for its shoreline development potential,” Grand Rapids Mayor George Heartwell said. Heartwell added that the project would be an investment in the community’s future and an important link to the city’s past. “Generations of Grand Rapidians will thank us,” he said. Critics, however, have argued that creating a whitewater kayak course by removing all or part of the Sixth Street Dam could ruin the popular salmon and steelhead fishery in downtown Grand Rapids. Nevertheless, several Grand Rapids business leaders and influential philanthropists support the project. So does Snyder. “Great cities have great waterfronts — that is true everywhere in the country,” DNR Keith Creagh said. He said the state is helping communities revitalize waterfronts. “The Detroit Riverfront, where the state has made a significant investment, is a great example of those efforts. So is the Grand Rapids river restoration project,” Creagh said. The Detroit Riverfront Conservancy has spent more than $100 million to develop the Detroit Riverwalk. The paved trail along the Detroit River hosts several festivals, attracts more than 1 million visitors annually and is home to Michigan’s first urban state park: William Milliken State Park. Hegarty said the scope and location of the Grand Rapids river restoration project, in the heart of Michigan’s second-largest city, make it enormously significant. The largest dam removal project in Michigan’s history is currently under way on the Boardman River in Traverse City. That $10 million project will remove three dams and restore natural conditions and improve the fishery in a large stretch of the popular river that flows through downtown Traverse City before entering Grand Traverse Bay. The Boardman River project recently sparked public outrage when a dewatering structure at the Brown Bridge Dam failed, sending a torrent of water downstream that flooded several homes. Dam removal projects in Michigan are often controversial because most dams targeted for removal are community fixtures. Residents often struggle to imagine how removing an historic dam would improve a river, said Chris Freiburger, supervisor of fisheries habitat management for the Michigan Department of Natural Resources. Jeff Alexander is owner of J. Alexander Communications LLC and the author of "Pandora's Locks: The Opening of the Great Lakes - St. Lawrence Seaway." A former staff writer for the Muskegon Chronicle, Alexander writes a blog on the Great Lakes. Do any of these dams have a possible use for hydroelectric power? Weren't a number of houses flooded when dam removal took place on the Boardman River? Yes-the vast majority of these dams could be producing power-and in fact did until the mega-utility companies went to supposedly cheaper central coal-fired power plants. At that time, they turned them over to local municipalities-which didnt maintain them. Recent studies by Oakridge Labs for the DOE say Michigan has several dams which would produce over 1 MW of power-and many, many smaller ones that would produce lesser amounts-but still substantial amounts in aggregate. The actual cost of refurbishing one of these smaller dams and retrofitting them for modern hydro turbines wouldnt cost any more than one wind turbine-and would have a far better pay-off. And the hydro turbines cost less than the wind plants, last about 50 years on average and take very little maintenance. They also produce 24/7/365 and are highly efficient as opposed to a windplant with 16% efficiency. Because these are existing dams, they have created wetlands surrounding the pools that are lost when the dam is removed-and which cost millions to 'restore'. Real estate values drop precipitously on these former ponds which are now unsightly mud holes. Recreational losses from fishing, boating and lake tourism, etc are hardly offset by a few kayakers showing up to paddle thru-and spending little in the local communities. The true impetus behind removing these dams is NOT ecology (because the dams themselves have created established ecosystems in their 150+ years of existence) but the continued perpetuation of a wind energy cartel propped up by government subsidies. Removing these dams costs us all-and removes the chance for us to generate clean energy without subsidies for perpetuity. This is definitely one of the dumbest schemes to come down the pike in my lifetime! Thanks for your questions, Rich. Most of the dams that have been removed in Michigan were obsolete or in severe disrepair. Most of those were low-head structures that generated minmal amounts of electricity, if any. Many of the remaining hydropower dams in Michigan are the large dams owned by utilities. Also, my article did mention that an accidental breach of a temporary dam at the Boardman Dam project flooded several homes downstream. Hope that helps. Another wonderful example of journalism and reporting simply not found elsewhere... Props to "Bridge"!! Mr. Alexander continues to raise-the-bar and elevate issues that matter much to quality-of-life in this water-rich State. Regarding the ecosystem values associated with smaller dams with wetlands and the suggestion that “ecology” is not the impetus for removal. Often, one of the main goals of dam removal is the restoration of ecological functions associated with a free flowing riverine ecosystem. That these resource values are “traded off” against the existing impounded condition with the dam in place, these issues are usually obscured by other issues associated with property values, renewal efforts to boost the local economy (business interests), and increased opportunities for access. These are the issues best understood by landowners, elected officials, and planners. If there are criticisms to be leveled at specific dam removal projects by resource professionals, it may be that mitigation for wetland losses are not balanced by the creation of new or restored wetlands nearby. To my knowledge no dam removal project permitted by the DEQ resulting in the loss of wetlands has been required to provide compensatory mitigation. This suggests that the regulatory and resource agencies have determined that these ecological “trade-offs” are equitable and that no additional financial burden should be added to dam removal projects in the form of wetland mitigation. Often dam removals are included in DNR river management plans as ways to improve the fisheries resource values of specific reaches of a river. Post dam removal studies will require years of data collection and then analysis to determine what the true return on investment has been from a given dam removal project. Since post- dam removal monitoring to determine what changes have taken place appear not to be required per se as part of the overall removal process it has not been possible to report on what level of functionality have been achieved to the average citizen (or to anyone else?). At least I have seen no technical reports as of yet, only general news items containing statements as to what is expected to take place as a result of the dam removal. Perhaps these reports are coming in the near future and those of us not directly involved are simply unaware that these efforts are underway. The suggestion that there is a direct linkage between wind power generation and dam removals seems weak. I'm struggling with the thought of our pond we've owned a cabin on since 1963 not being a pond , a 257 acre pond that supports boating fishing swimming now being drained with the removal of 2 dams. How is lake front property that is no longer lake front handled? I should of said now being considered for dam removal which would result in our pond being drained. It's not a done deal yet but I am very worried it will happen. The dam/dams are privately owned now and the maintenance is an issue along with the restoration of the river for the sturgeon.